Let's imagine you are lurking in the Blacksmith, and you stumble upon this badass knight. You find it so cool you desperately want to have it, you press the download button and... you get files you have no idea what to do with. It's sad isn't it ? Well get ready for I am here to explain you how to add these graphics and all the graphics you will ever want to your game. Now I will assume you have read Sarn's beautiful guide on creating new units so you are a bit familiar with Advanced Genie Editor (AGE). -SLP files : they contain graphics of a certain animation (attacking, standing, walking, dying, decaying) for a unit. -Data files : pretty self explanatory, they contain all the units stats and game data. Ok so you have downloaded the Indian knight, what to do with the files you have ? 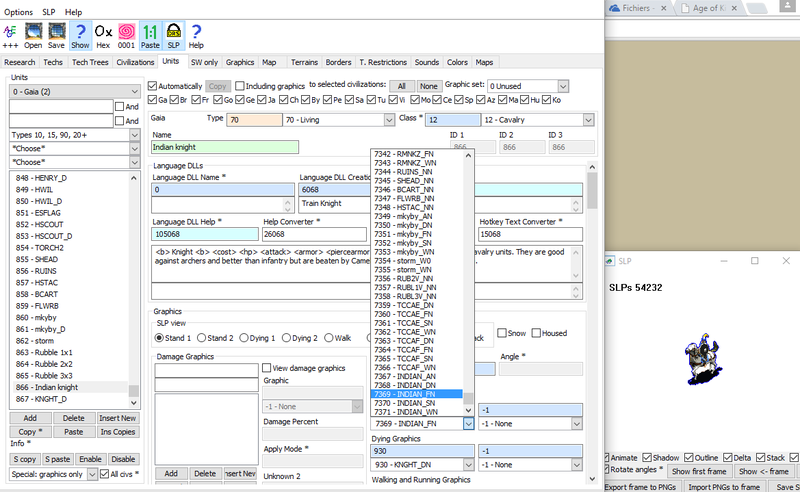 Open your gamedata_x1_p1 file using Turtle Pack, and click on the little green cross to add a file, and select the five SLP you have downloaded ("attack" "decay" "die" "stand" "walk"). In the window that pops up choose "slp". Now you can just save (but don't quit Turtle Pack, you will still need it. You're not done yet, if you launch the game now you will see that nothing has changed. There are still a few things to do. Now open AGE3, you'll have a large window and a smaller pop-up window in front of it. In order for AGE to edit your data files, it needs to know where they are. At the top of the window, you'll see a number of buttons. If you installed your copy of AoK in the default location (C:\Program Files\Microsoft Games\Age of Empires II), then you just need to click the “TC Defaults” button. If you installed it somewhere else, you'll need to change the path in the boxes to go to your alternate installation location. Once you've finished this, just click "Ok". When I'm editing the data, my motto is : never create from scratch, always copy something that already exists and modify it so you have what you wanted. In this case, we want a knight type of unit, so we are going to look at the knight unit, use its graphics as a template to add ours. Go in the Unit tab and in the search box, type "knight", and select knight in the list below. It is the knight unit from the game, and we want to take a look at his graphics : you will notice that his graphics are all called "KNGHT_..."
Now go to the Graphics tab, and in the search box type "knght". On the list below select the graphics called "KNGHT_AN", "KNGHT_DN", "KNGHT_FN", "KNGHT_SN" and "KNGHT_WN" and press the copy button. Now delete what you have in the search box and click on the add button five times. You will see that you have created five graphics called "New Graphic". Select them and click on "paste". Just select the one called "KNGHT_AN" and in the box at the top called "Name", replace the "KNGHT" part by whatever you want, let's say "INDIAN". Do it for all the five graphics. Now you don't want these graphics to be the exact replica of the knight's right ? In the box called "SLP" of your "INDIAN_AN" graphic, replace the number it's there by the number the number of the attack graphic of the indian knight in the DRS. If you have done it right, the second box of AGE should now display the attck graphic of the indian knight. There is one thing you must check : the frame number. 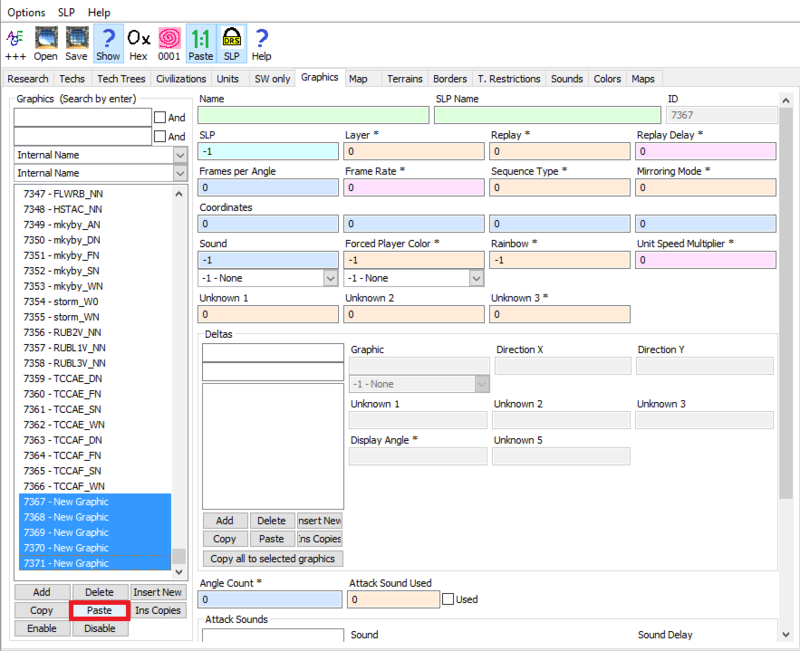 One SLP contain the frames for one action (attack, stand, walk, die, decay) for five rotations : South, South-West, West, North-West, and North for units (ships have more rotations). You want to make sure that the number frame per angle in AGE is correct. In Turtle Pack, there is a little number under the graphics preview, 50 in this case. It is the total number of frame of the SLP. As it has 5 rotations, it makes 10 frames per rotation : it matches what's in the box in AGE so we are good to go. If it was'nt the case then you would juste have to put the correct number of frames per angle in the box. Now just do the same for the other graphics. We're almost done, go back to the unit tab, create a new unit copying the knight (don't forget its dead unit, ID 111 FYI). 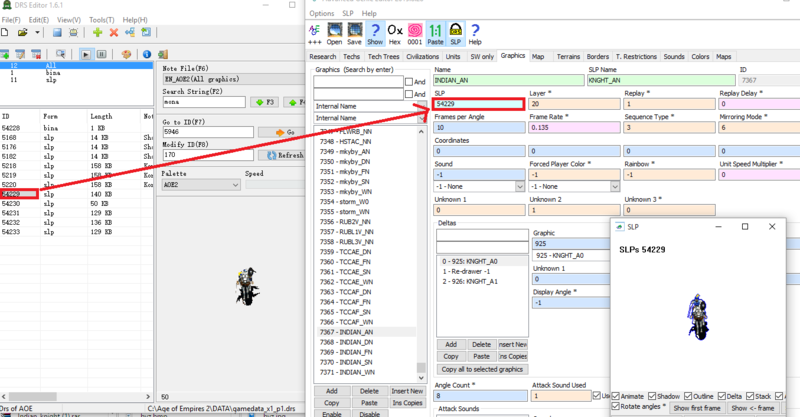 Change its name to Indian knight, and change its standing graphics to the one you have created : INDIAN_FN (the second window should now display the indian knight standing graphics). Same goes for the others graphics, including the standing graphics of the dead unit you have copied that should be changed to "INDIAN_SN". In your Indian knight unit, scroll down until you find a box called "dead unit", it should display "111", change it to your newly created dead unit. You can now change your new unit's stats as you desire, save and launch the game when you are ready. 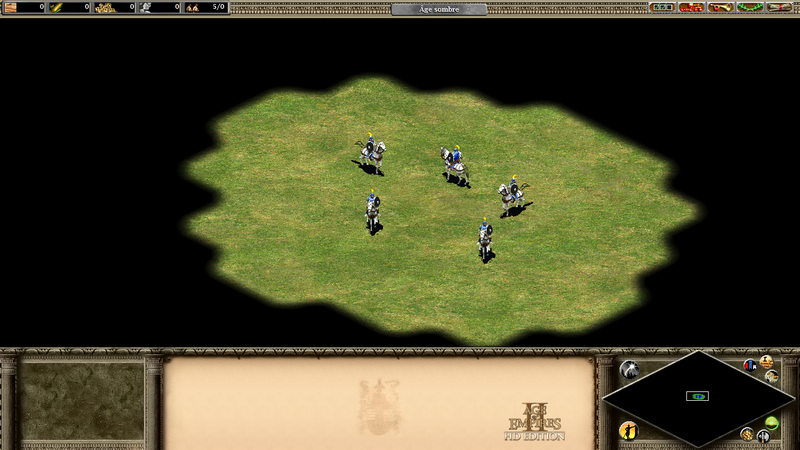 You will see that you can place your unit in the scenario editor, with its badass graphics ! Now you can head over Felix's article to make your unit trainable ! Nice article! Sorely needed, too. One minor point, you don't need to hit add five times. 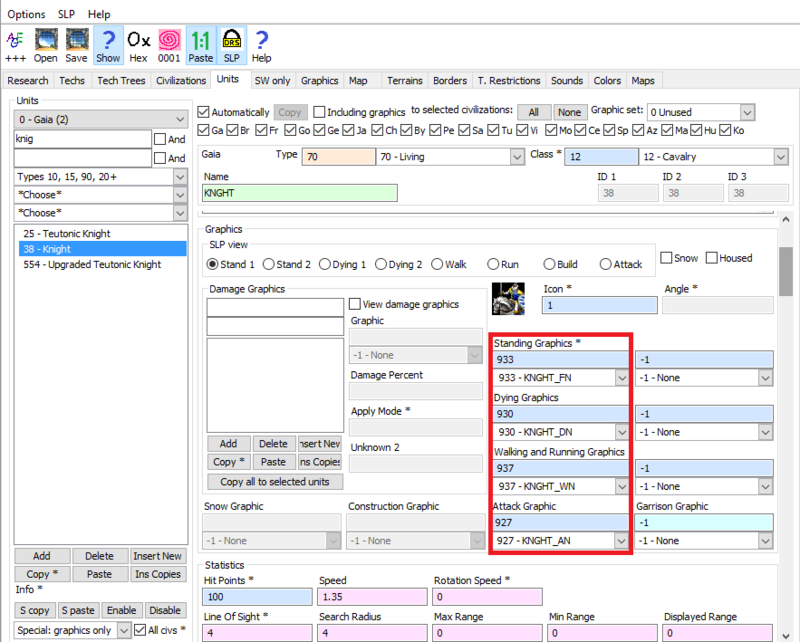 If you paste multiple items to a single slot, it will automatically add more (or overwrite the ones below the first). I am planning to make a few more of these, just so we can cover all the basics aspects of modding that would be helpful. It used to work like that with older versions of AGE, but in the new ones the number of items you paste must be the same as the number of slots, otherwise you get an error message. You know what ? I just noticed there is a new paste tool that enable/disables sequential paste. For AoAK you're maybe right but not sure, I asked Cysion a few time ago about the new data file structure and he said it would be a unified data file, with the exe enabling/disabling features depending of which dlc you own. But maybe things have changed, if someone from the AoF team could confirm it. Indeed, a unified data file and only a single directory with all resources. So no resources-dlc2. ok sorry, i just saw the lines in the advanced genie editor 3 because im sure you guys also work with that tool. 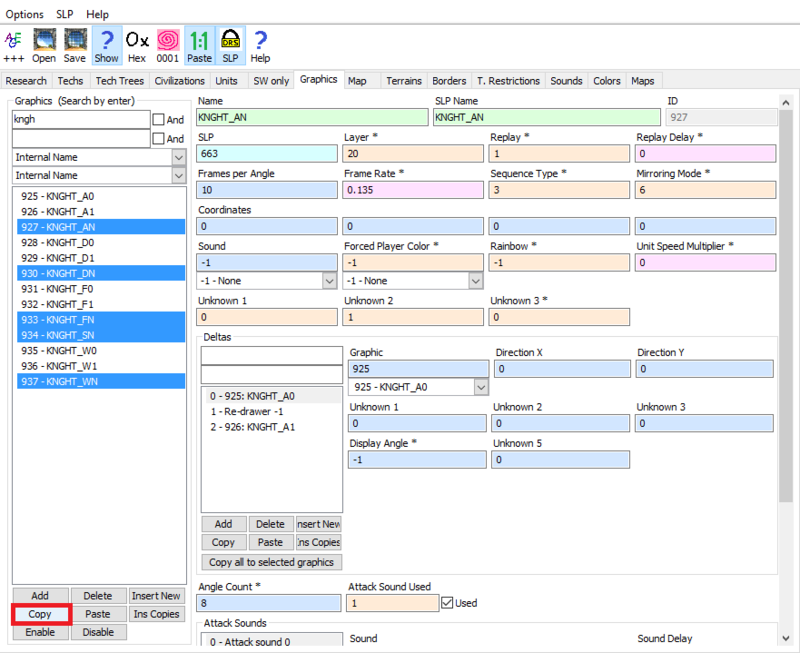 Or did microsoft handle out the original tools that the ensemble guys work with ? This is a very high-quality article. I will try to add it to the university in due course. Thanks for this indepth article. I have one question about editing graphics with Turtle Pack: When I add/replace a frame with new graphics, often times there is an "outline" of the background color around the graphics. For example: I want to add a new house graphics, and the house bitmap file had a purple background. When I add it in Turtle Pack the purple background is removed, however an outline of it remains on some parts outside the house. Do you know how to resolve it? It happened for me when i resized a picture on the programm "Irfanview", it creates a new purple color diferent from the original one, so turtlepack recognize one, remove it and the other surrouding the unit remains. In this same program if i disable the option "Use resample funtion" the problem is over. I'm not sure if you're using the same programm, but the problem seem the same. Edit: Aditionally you can use "Irfanview" and maybe other programms to remove all purple colors of some image, it may do the trick for you too. 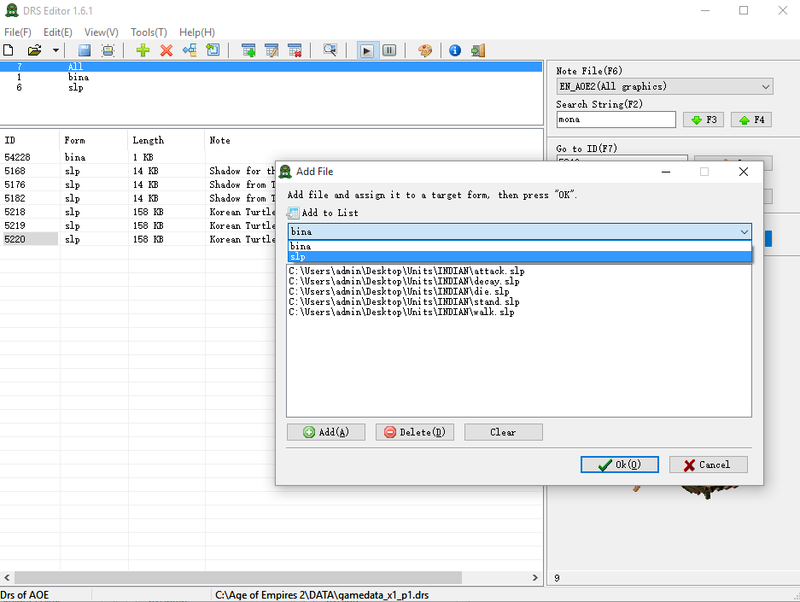 @marotinho: I use photoshop to edit and to convert the final image file to AOE2 color palette. But thanks for letting me know, I will check out the software you mentioned. Hi...Nice tutorial.. Pls can you exlplain the dead unit in detail as I am not able to understand and my inserted character is not being shown in the game although the name is there. When a unit is killed, its dying graphics are shown. When the dying graphics are completed (about 2 seconds), an unselectable dead unit is placed on the map that shows the decaying graphics for that unit for about one minute. Once the unit has finished decaying, the dead unit is removed from the map. 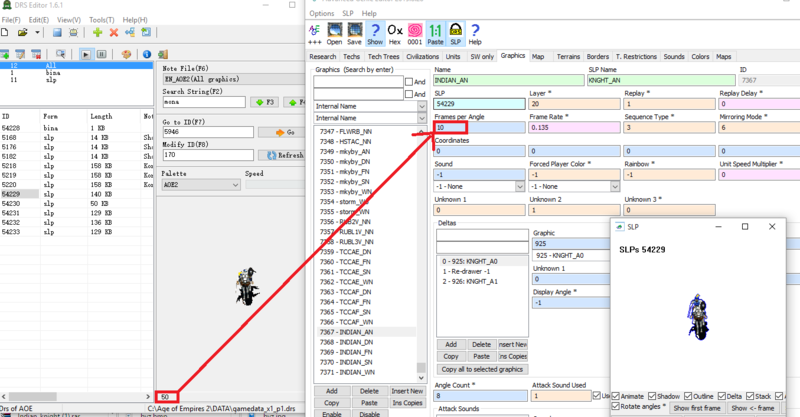 Is the name of the character in the unit list in the scenario editor? It's just invisible when you try to place it? If so, my first guess is that you might not have set the graphics properly in AGE, but it's hard to know the reason without more info. what do you mean by this? i dont think i have a gamedata_x1 or gamedata:x2 folder. I only have gamedata.drs, gamedata_x1.drs and gamedata_x1_d2.drs inside data folder. Look inside the drs folder instead of the data folder. I believe if you navigate to the drs folder (C:\Program Files (x86)\Steam\SteamApps\common\Age2HD\resources\_common\drs), you should be able to find the folders you're looking for. 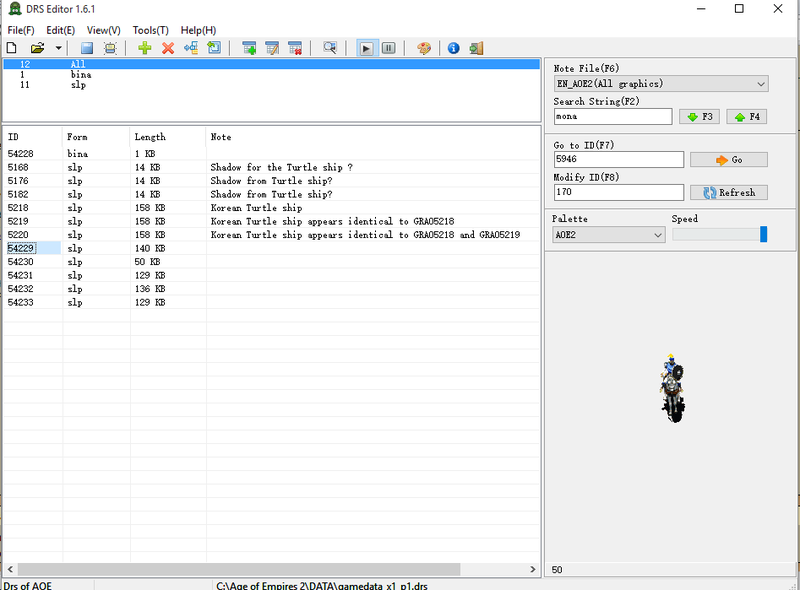 Where do i find my newly added unit/building in the scenario editor? player 1, gaya, faction? it doesent seem to appear in the building list. Troubleling chaning the name, when i have copied the building to new unit, maybe thats why. Have you checked to see if Hide in Editor is unchecked? 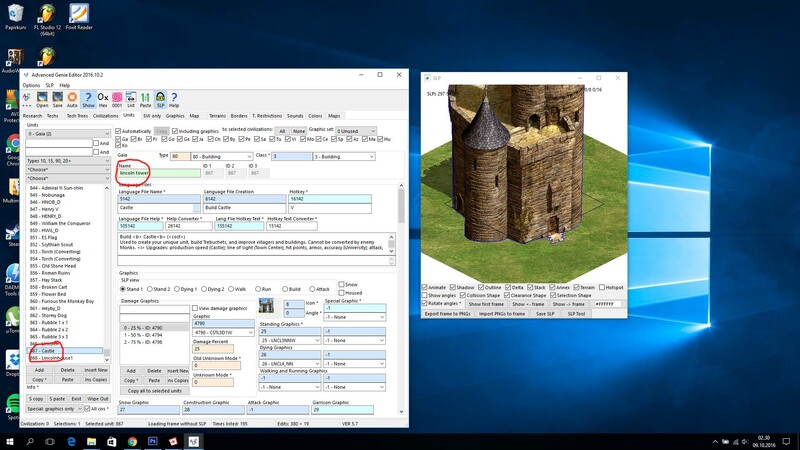 By default the game uses the language file name which is in the .dll, so ingame your unit will still be called "castle". To have the game use the internal name you have to set the language file name box to 0. This should do the trick.